Pavel Bém is former Mayor of Prague and a member of the Global Commission on Drug Policy, Czech Republic. Here he gives his assessment of April’s UN General Assembly Special Session (UNGASS) on the world drug problem. 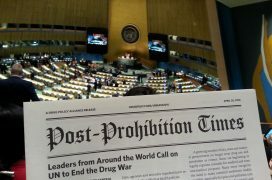 The United Nations General Assembly Special Session (UNGASS) on “the world drug problem” was an important moment for the international community to evaluate and assess both the advances and the challenges facing drug control on a global level. Member states participated throughout the preparatory process, submitting country and regional positions, hosting meetings, inviting inputs from civil society organizations and engaging in thoughtful policy proposals. United Nations agencies also took note of the importance, submitting detailed reports of the impacts of drug control on human rights, development, health and economic growth. These expert reports were reflective of current efforts and put forward innovative proposals on how to improve policies directed at people who use drugs, producers and people incarcerated and others. The Global Commission participated through attending official meetings, hosting presentations on our recent reports and recommendations, bringing together countries to discuss possible reforms and engaging with the media so that more people would be aware of this historic opportunity. Unfortunately, the final results were disappointing. The final outcome document failed to take into account both the submissions of Member States, as well as UN agencies. It failed to acknowledge the shortcomings of the current drug control system or the enormous costs that have been experienced by individuals, communities and countries across the world. By continuing to affirm the three international drug control conventions as the “cornerstone” of its policies, the international community chose to maintain a status quo that has shown no measurable progress in securing the health and welfare of individuals. While a tiny step was taken in working towards a world “free of drug-abuse”, rather than the world free of drugs that had originally been put forward as an objective, it continues to promote outdated and unachievable results. Perhaps one of the greatest failings of the UNGASS outcome document is its lack of recognition that the use of the death penalty for drug offenses is clearly in violation of international law. Countries with constitutionalized death penalty for drug offences, such as Indonesia, Malaysia, China, Singapore, Pakistan, Saudi Arabia, Iran and others, were successful in blocking any language that denounced the use of this practice, which evidence has shown does not deter drug use or trade, and which numerous United Nations agencies have come out against due to the human rights implications. Following the adoption of the outcome document, numerous countries highlighted the absence of consensus on the death penalty, including the European Union, Switzerland, the Netherlands, Mexico, Colombia, Canada, Chile and Uruguay. Although harm reduction measures, including the use of naloxone, were included in the document, the words “harm reduction” were excluded, showing once more that member states in the Commission on Narcotic Drugs are more closed off to this language than the UN General Assembly. Additionally, it fails to empower the World Health Organization to revisit the scheduling system and does not mention the importance of ending the criminalization and incarceration of users. Although it was to be expected, the outcome document never notes the continuing move towards regulated markets, including the policy innovations taking place in Uruguay and several States in the US. In essence, the outcome document fails to be grounded in reality. 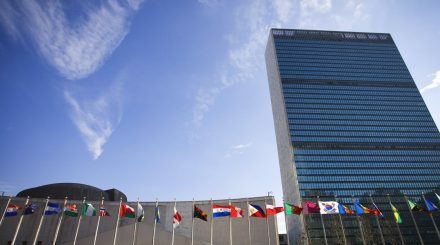 There were small victories at the UNGASS that bear mentioning, the outcome document has a progressive section on access to controlled medicines, human rights finally has a mention, albeit not as concert as hoped and there is a recognition that a gender-based perspective should be included in drug control measures. In addition, the drug policy reform movement was strengthened, new actors from the development, judicial and human rights fields began speaking about drug policy as it directly impacts their work and there were strong, positive country statements from various, diverse Member States. The lack of cohesion between the international community and the reality on the ground will need to be resolved. These issues will again rise to the surface in 2019, when the 2009 Political Declaration and Plan of Action is reviewed. And in the meantime, the work towards effective decriminalization, proportionality of sentencing, improved access to health and harm reduction services and reducing violence will continue. The Global Commission will be accompanying these processes every step of the way, understanding that it is only through this that health, human rights and development will be improved. Pavel Bém is former Mayor of Prague and member of the Global Commission on Drug Policy, Czech Republic. Pavel Bém is former Mayor of Prague, Czech Republic, and member of the Global Commission on Drug Policy.